Lincat Lynx 400 Electric Convection Oven LCO The Lincat Lynx 400 Electric Convection Oven LCO is a high quality, reliable convection oven whose fan assisted mechanism allows for uniform heat and consistent results. 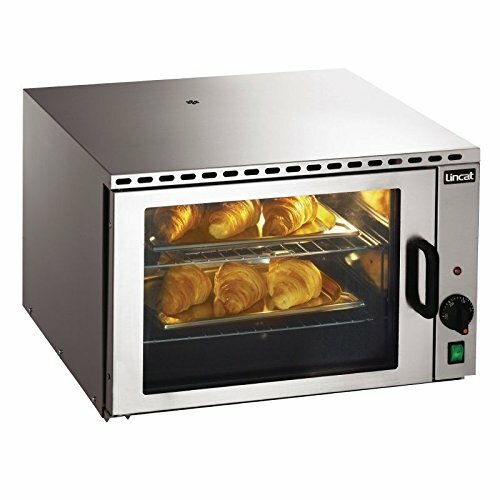 From best-selling brand Lincat, this Lynx 400 convection oven is ideal for pubs, leisure clubs and cafes offering hot food where kitchen space is limited. Lincat quality is evident from its robust door hinges and positive door catch, as well as its vitreous enamelled interior making it easy to clean and maintain. The inner door glass, light bulb and seal are also all easy to replace, so avoiding unnecessary service calls.